I’ve seen people using apps that play inside beatmaker 3. I have to look back I think I’ve seen someone using a piano app. But I want lots of piano sounds. Haven’t really looked through the store details. I’ve only looked at the names of the packs not the content inside. I do recommend it for general use, but beware there is currently a small bug in the preset. After loading the piano into your project, you have to manually increase the Dry Mix to 100 on the piano's reverb effect. I can provide a screenshot or video if this is not clear. Free piano samples (via Google) that you map to the keys yourself inside Beatmaker. 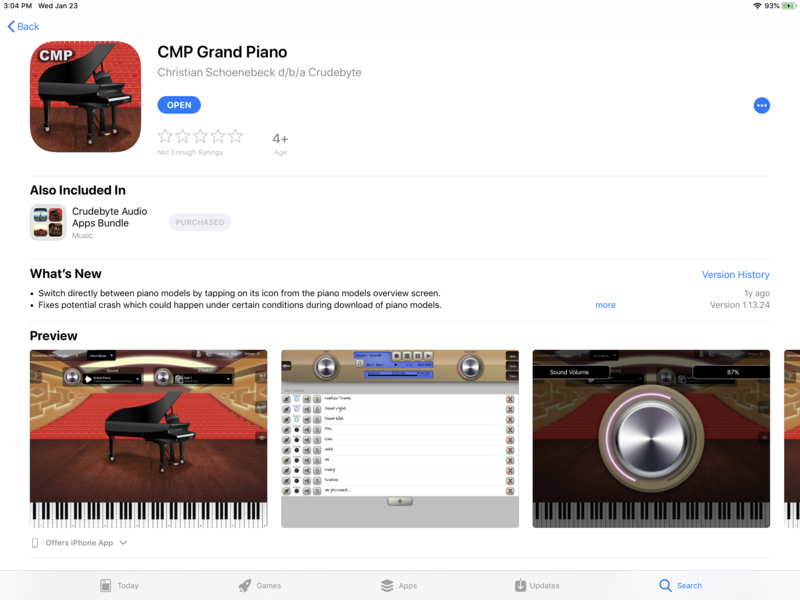 There’s also CMP Grand Piano from Crudebytes that i’ve used and it’s AU.